My Occupation: I am a high school English teacher in Eaton Rapids. I also teach online writing classes to a very bright community of homeschool kids. Background at URC: My wife Heidi and I both came to faith in our middle twenties. Eventually our search for solid Bible teaching in the doctrines of grace led us here to URC where we’ve been members since 2004. I served one term as an elder way back in 2007 to 2010. Heidi has been very active in the women’s doctrine study and in ERC, the homeschool co-op that meets here on Wednesdays. 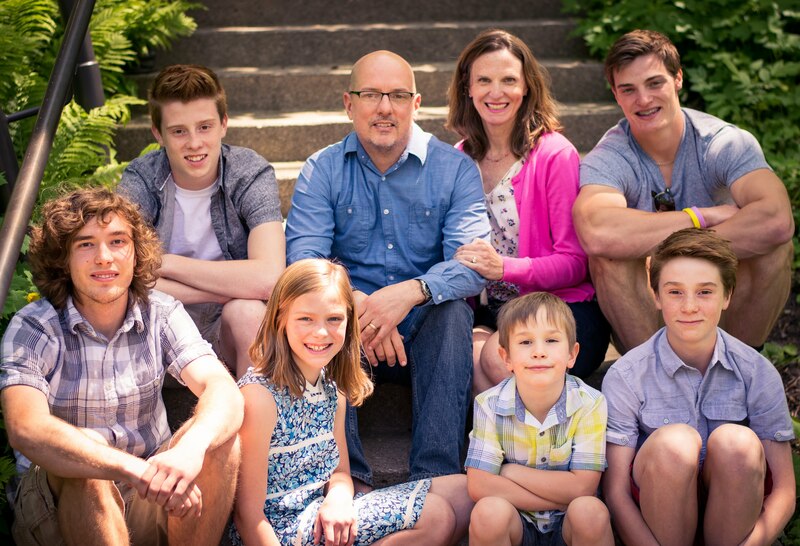 About Me / My Family: Heidi and I have been joyfully married for 24 years. We have six children, aged 21 down to 7, and at the time of this writing, they’re all living at our busy home. God is good!